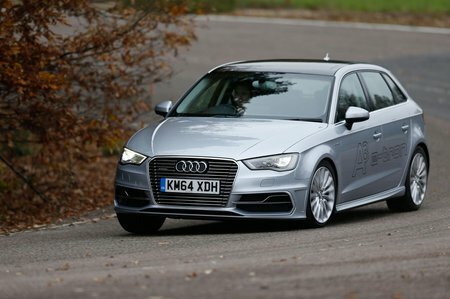 Audi A3 e-tron Performance, Engine, Ride, Handling | What Car? If you have any preconceptions that a car using battery power will feel slow, then you’ll find the A3 Sportback e-tron a revelation. Even when using just the electric motor it’s not exactly slow, but when you use it with both the electric motor and the 1.4-litre petrol engine combined it’s decently quick. It pulls hard right from the off and will despatch the 0-62mph sprint in a hot-hatch-bating 7.6sec, and will happily cruise at motorway speeds. Power goes through a six-speed dual-clutch automatic gearbox, which means it’s very easy to drive, whether you’re mooching around town or tackling a long cross-country trip. There are three powertrain modes available: EV, Hybrid and Battery Hold. EV keeps the car running on pure electric power only (offering a realistic range of 15-20 miles). Hybrid uses a mix of electric and petrol power, while Battery Hold helps to preserve the battery by getting the petrol engine to do all the work. Having the extra weight of the batteries does reflect in the handling, because the e-tron will wash wide through fast corners earlier than the standard A3 models, but no more so than the similar versions of the Golf or i3. 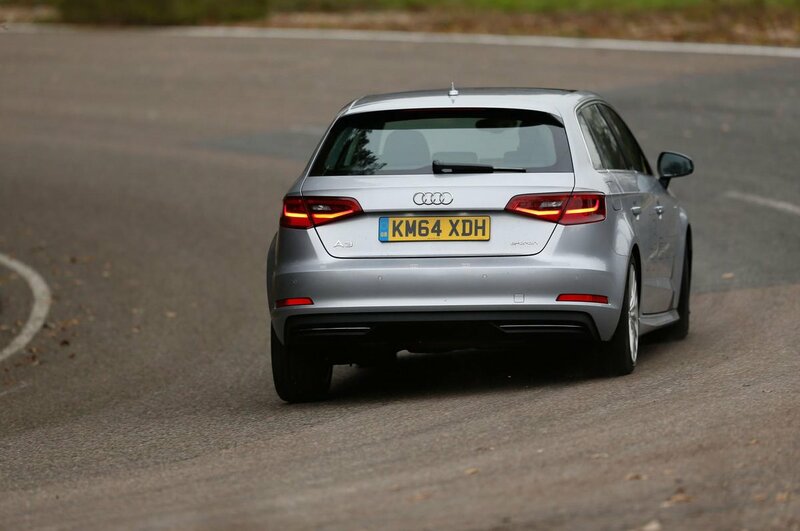 Even so, the steering is well weighted and makes it easy to place the A3 on the road, and body lean is progressive and nicely controlled. Ride comfort is great over high-speed undulations, and the e-tron feels settled and comfortable in most situations, but it can become a bit bouncy and jarring over hard-worn or rougher town roads. Refinement is also an e-tron strong point. The brakes are a bit grabby, but don’t suffer from the snappiness that some hybrid cars do, while in electric mode it’s whisper quiet. You do notice a slight vibration and added noise as the petrol engine kicks in, but the engine is still smooth and a lot less intrusive than the two-cylinder engine found in the BMW i3. As your speed builds so do the levels of road and wind noise, but not to excessive levels.